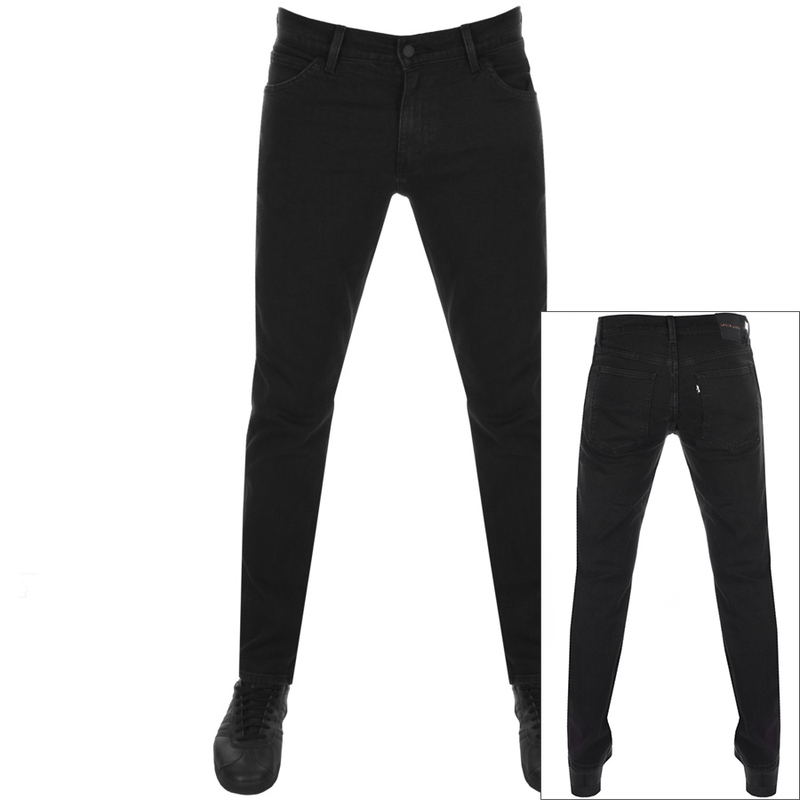 Levis Line 8 Slim Tapered Jeans In Shield Black, Part of Levis Line 8 which is a future focussed style, using bold accents and unexpected details. These jeans are constructed in a slim fit with a tapered leg. A zip fly with a branded black coated metal top button fastening and five belt loops on the waistband. A five pocket design with two pouch pockets at the waist with a small coin pocket within the right pocket and two pouch pockets on the reverse. The signature Levis Line 8 logo patch is on the reverse right of the waistband in black, brown and red with the signature woven Levis logo pinch tag sewn into the reverse right pocket seam in black and white. Top stitch detail on all the seams and the pockets on the reverse in black. 99% Cotton And 1% Elastane. Brand New Collection Of Levis Jeans Live.